The bench comprises Chief Justice Ranjan Gogoi, Justice Deepak Gupta and Justice Sanjiv Khanna. 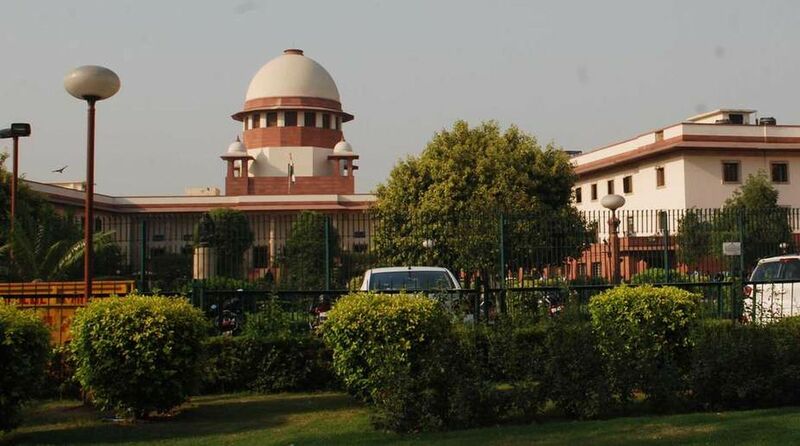 A three-judge bench of the Supreme Court comprising Chief Justice Ranjan Gogoi, Justice Deepak Gupta and Justice Sanjiv Khanna will on Sunday hear CBI pleas against Kolkata Police Commissioner Rajeev Kumar and the West Bengal government for alleged non-cooperation in a case connected with Saradha chit fund scam. The CBI on Monday filed a contempt plea in the Supreme Court on Monday against West Bengal’s Chief Secretary, Director General of Police (DGP) and Kolkata Police Commissioner Rajeev Kumar for willful and deliberate violation of apex court’s orders. The CBI had earlier in the day also filed a plea in the apex court seeking directions to Commissioner Kumar to cooperate with the investigation in chit fund cases. Agreeing to hear the CBI’s pleas urgently after the probe agency alleged that electronic evidence related to the Saradha chit fund scam might be destroyed by the Kolkata Police Commissioner, the SC said it will “come down so heavily on him that he will regret”. In its plea, CBI alleged that an extraordinary situation has arisen in which the top police officials of the West Bengal Police are sitting on a dharna along with a political party in Kolkata. But the bench comprising Chief Justice Ranjan Gogoi and Justice Sanjeev Khanna declined Solicitor General (SG) Tushar Mehta’s plea to hear the two applications on Monday in the post-lunch session. “Please take cognisance that people in uniform are sitting on dharna with a political party and hear the matter at 2 pm. The evidence which is in the electronic form will be destroyed,” said the SG appealing for a hearing on Monday itself. Mehta told the court that the agency had filed two interim applications. The first application seeks a direction from the apex court that the Kolkata Police chief should immediately surrender and should not tamper or destroy any evidence, he said. The second application is about the contempt of court committed by the police commissioner as there was an apex court order to carry out the investigation into the case, Mehta said. Meanwhile, West Bengal Chief Minister Mamata Banerjee continued her sit-in protesting CBI’s attempt to question Commissioner Kumar. 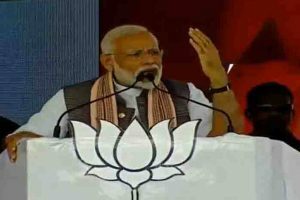 She has been at the dharna since 9 pm Sunday alleging that Prime Minister Narendra Modi and BJP chief Amit Shah are trying to stage a “coup” in West Bengal. “I am ready to give my life but not compromise. I did not take to the streets when you (Centre) touched TMC leaders. But I am angry when they tried to insult the chair of the Kolkata Police Commissioner; he is leading the organisation,” she said on Monday at the protest venue at Dharamtala area near Metro Channel. The CM even addressed farmers from the dharna site instead of going to Netaji Indoor Stadium as scheduled. Banerjee also took some time out to attend a West Bengal Police and Kolkata Police event in which Commissioner Kumar was also present. The West Bengal Chief Minister also attended a cabinet meeting at the dharna site. Hitting back at Banerjee, Union Law Minister Ravi Shankar Prasad said on Monday that by protesting in this manner, the TMC chief was following the footsteps of Delhi Chief Minister Arvind Kejriwal. “What is happening? A Police Commissioner is sitting on a dharna with politicians? What is the meaning of this? By sitting on dharna West Bengal CM is following the footsteps of Arvind Kejriwal,” he said at a press conference. He further said the West Bengal Chief Minister was scared of the BJP’s rising popularity in the country. Terming the whole episode as unprecedented, Prasad said Mamata Banerjee has crossed all limits. He further questioned if it was a crime to investigate people involved in corruption. BJP leader Prakash Javadekar alleged that Mamata was trying to hide the “raazdaar” who knew all the details of the chit fund scam in West Bengal. Terming it as a “murder of democracy”, Javadekar said that “never before was an investigating team taken into custody by the police”. The BJP leader further said that the chit fund scamster, in his testimony to the CBI, had spoken about a red diary and pen drives which contain all the information about the money trail, and the influential people behind it.